Hey everyone! I’m so happy to be back from my week off from writing. Once again, I’m sorry I didn’t post at all last week. I was super busy with my job and I just needed to take a short break. Thanks for understanding! 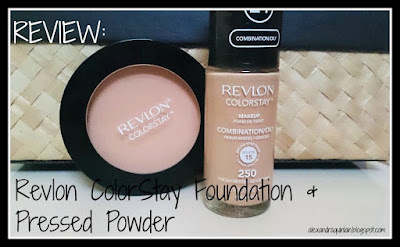 Today I’m going to be reviewing the Revlon Colorstay Foundation and Pressed Powder. This isn’t a new product at the drugstore but I had never used it before and I told you in my CVS Drugstore Makeup Haul post that I would give you guys a review on what I think of it after I give it a try. I’ve been using it on and off for the past two weeks and I can finally give an honest review on it. My skin type ranges from combination to oily depending on the time of year and the weather and such. It’s not all over oily just mainly my T-zone but it’s been really hard for me lately to find a foundation that stays for an entire work day, (8 hours or more). I usually have to reapply some powder to make myself look less oily after about 6 hours. While in CVS I had a coupon for Revlon Cosmetics and they were doing a buy one get one 50% off sale on all Revlon so I decided to try out their foundation. I wouldn’t usually buy a foundation that costs almost $15 for everyday wear just because for me, that’s pretty expensive. I usually spend $8 on foundation and about $6-7 on a pressed powder. 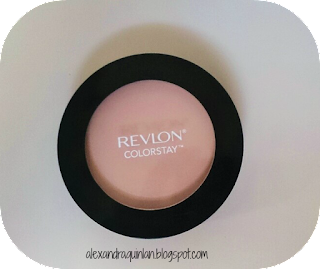 The Revlon Colorstay pressed powder is usually almost $12, (I got it for $6 with my coupons and the sale), which is also kind of expensive. I had pretty high expectations for these two products already just because of the price. The foundation has a pump which is awesome because you can have more control over how much product comes out. I hate when I accidentally pour out too much because that’s just a waste, so this was definitely a plus. 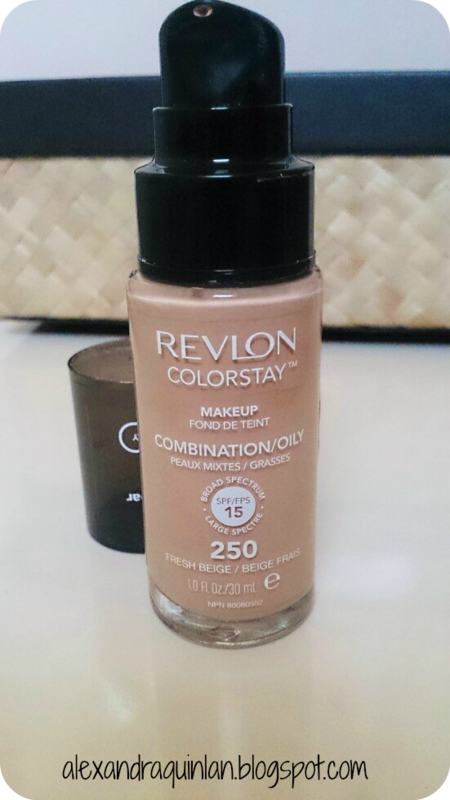 This foundation is also build able to full coverage, it goes on very smoothly, and it blends out nicely. The only downside is it definitely oxidizes on the skin, after a little while it turns to a more orange color. It boasts that it will last 24 hours but that sounds like an exaggeration to me. It does however, last very long. I can wear it all day at work and not have to retouch it once. The pressed powder is actually one of my favorite pressed powders now. 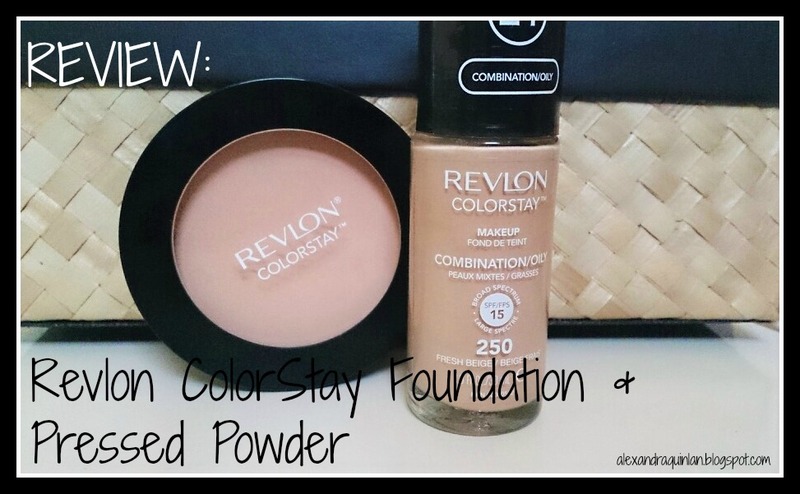 It matches the foundation shade perfectly and it goes on very smoothly. It also doesn’t look cakey, it just gives a very natural finish. It actually tones down the orange from the foundation a little bit. This pressed powder also lasts a full work day for me. It comes in 6 shades including a translucent finishing powder. All in all I actually really like the foundation and the pressed powder. I’m happy they worked on my skin because finding a great foundation and powder that doesn’t wear off after a few hours is hard for me. I won’t be purchasing them as my regular drugstore foundation products just because they’re a little more expensive than some other great drugstore foundations but if they were on sale or something like that I will definitely be buying them again! Just remember, what works for me might not work for you. Everyone is different and that’s whats so great about makeup, it caters it everyone’s needs and preferences. Thanks for reading this review on the Revlon Colorstay Foundation and Pressed Powder. Below you will find my official review system, and the final score for these products. I will also leave links to these products so you can try them out for yourself if you want. Don’t forget to leave me a comment below and let me know what you think of these products. Did it work for you? Did you hate it? Let me know! Remember to follow me on Bloglovin to see more reviews like this! Points based system, each is worth 10 points for a total of 100 points. Don’t forget to follow me on Bloglovin and Twitter to get updated on when I post! Follow me on Bloglovin here! ← | WORTH IT WEDNESDAY | Jergens Natural Glow Moisturizer!